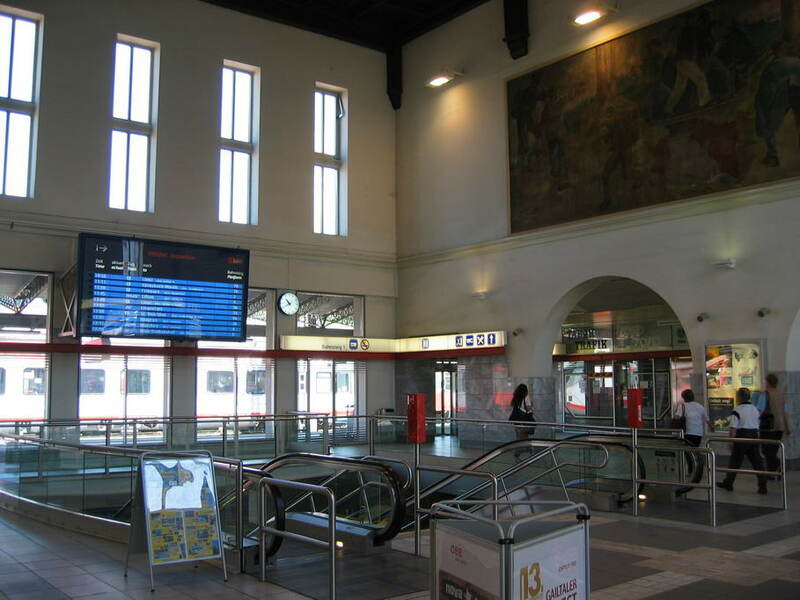 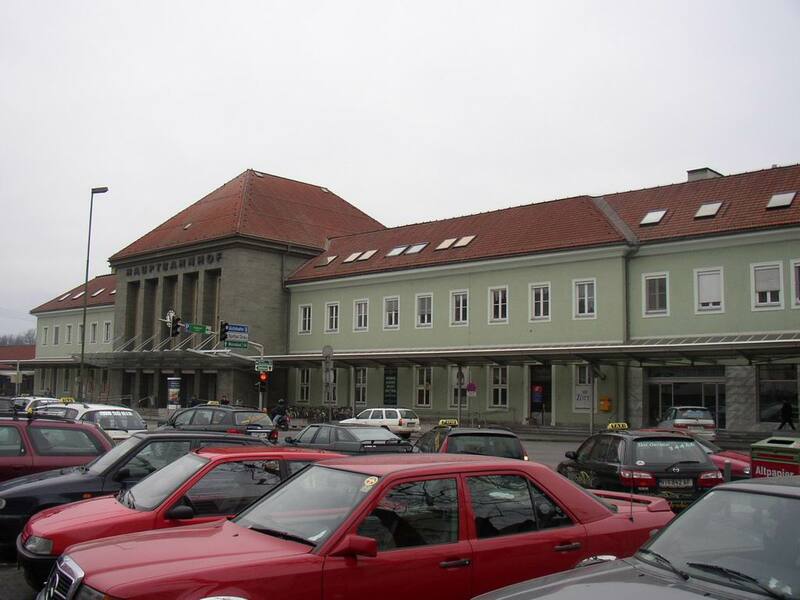 Station building of Villach Hauptbahnhof. 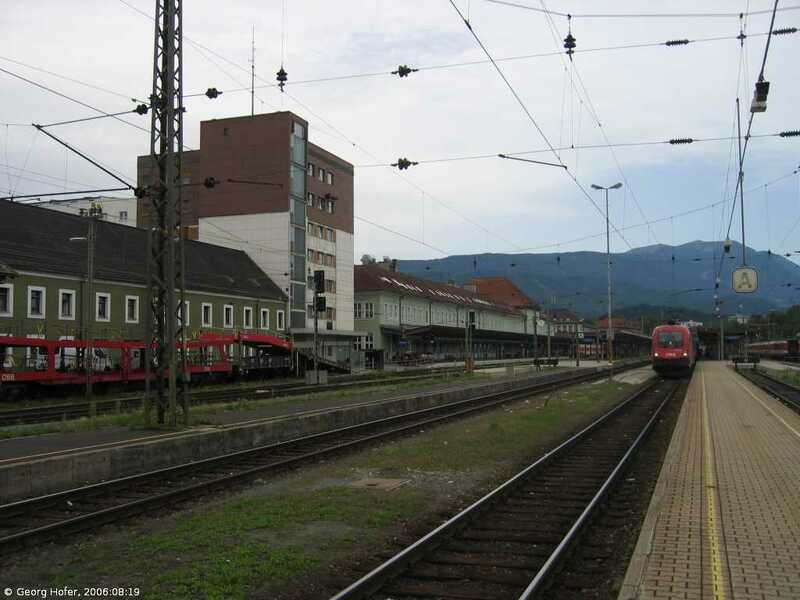 Villach Hbf: The station and slow train coaches in the background, looking toward Wien. 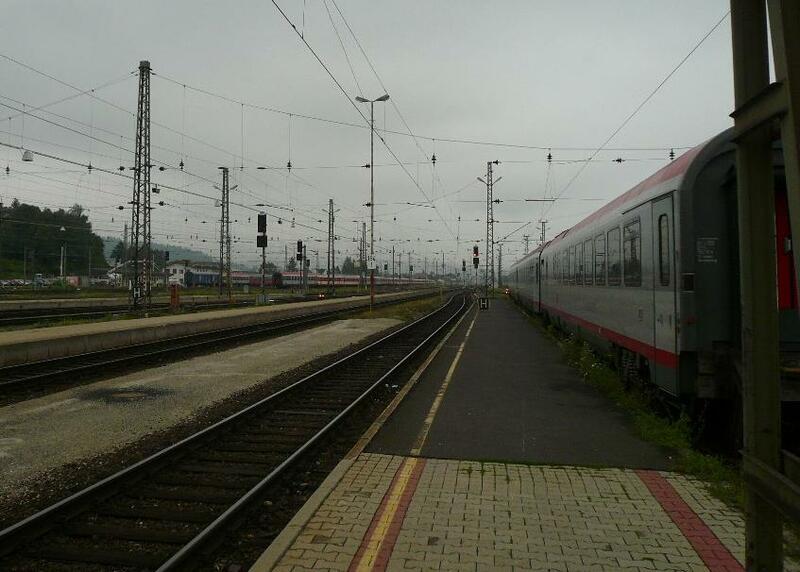 Villach Hbf: ÖBB "Taurus" is waiting for his green signal, in front of a nostalgic coach. 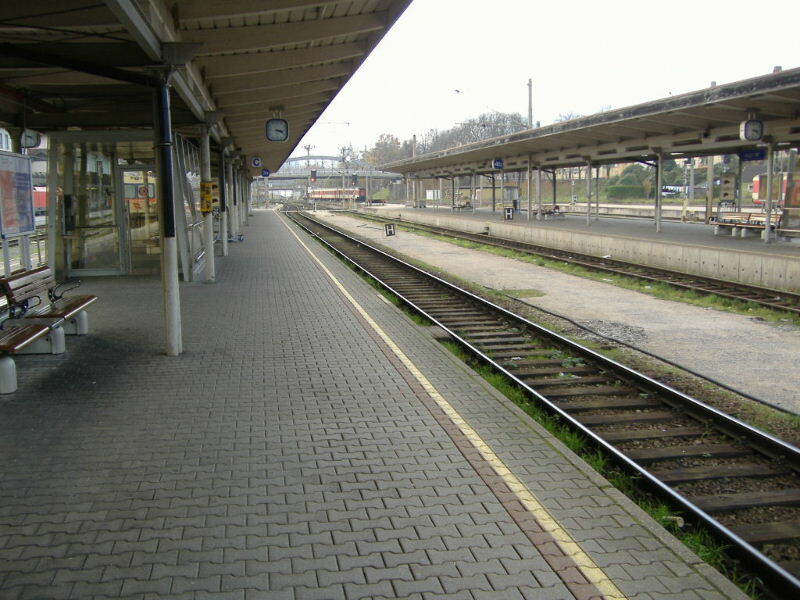 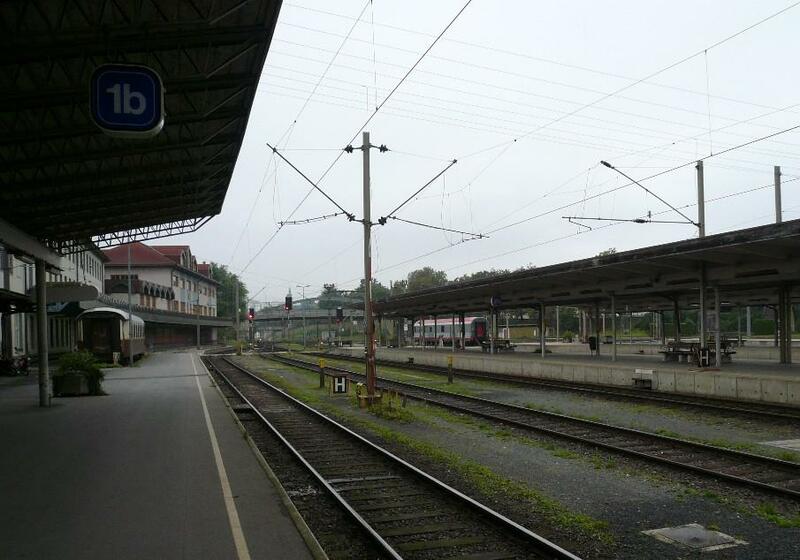 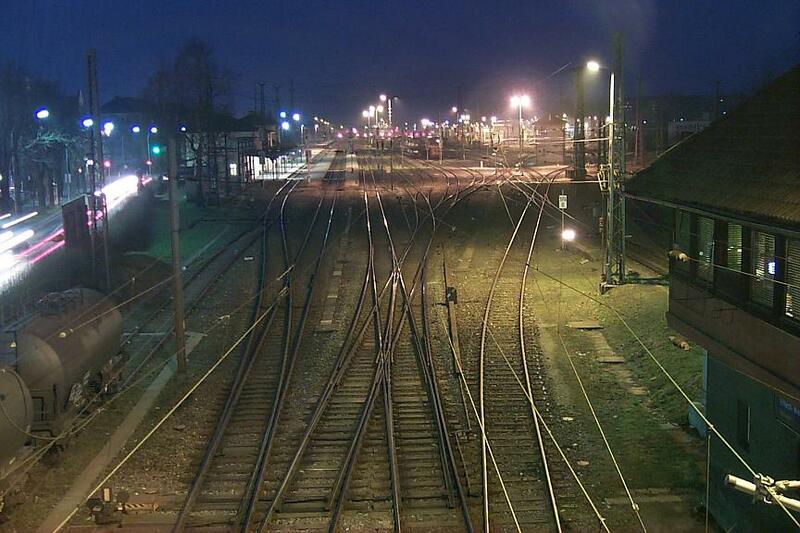 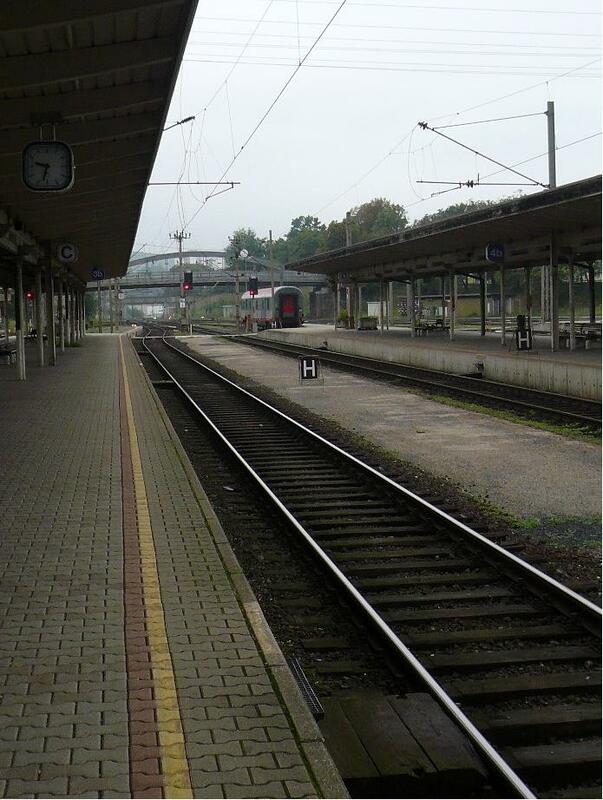 Villach Hbf: Looking toward Italy. 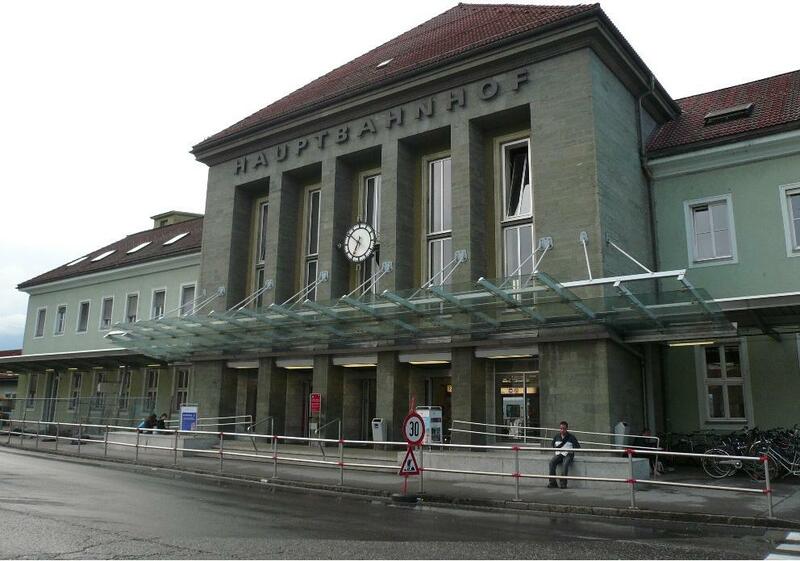 Villach Hbf: The main building of Villach Hbf. 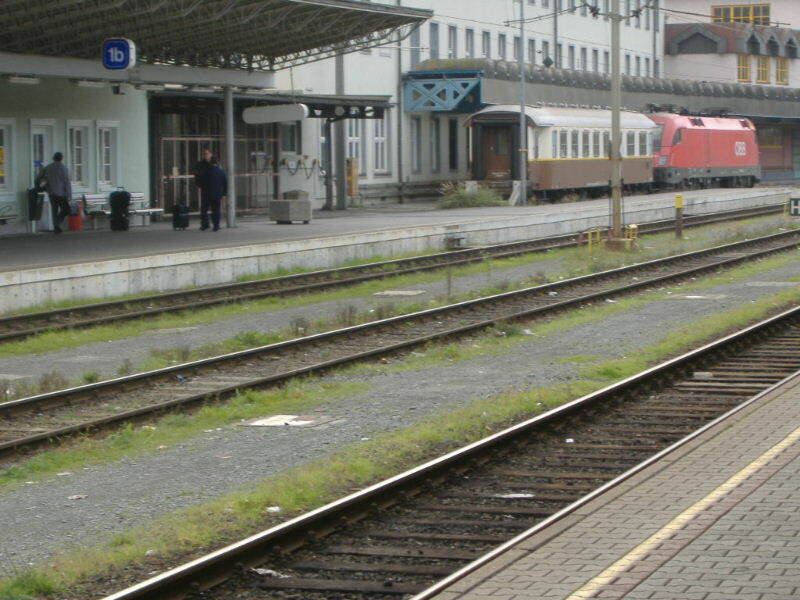 Villach Hbf: 2 "Taurus" engines and a slow train. 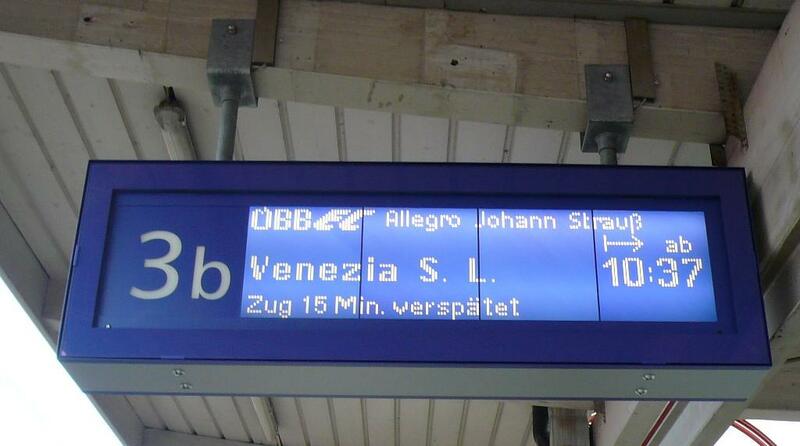 Villach Hbf: The farther part of the station and the notice of the ÖEC "Egger-Lienz" on the electric indicator. 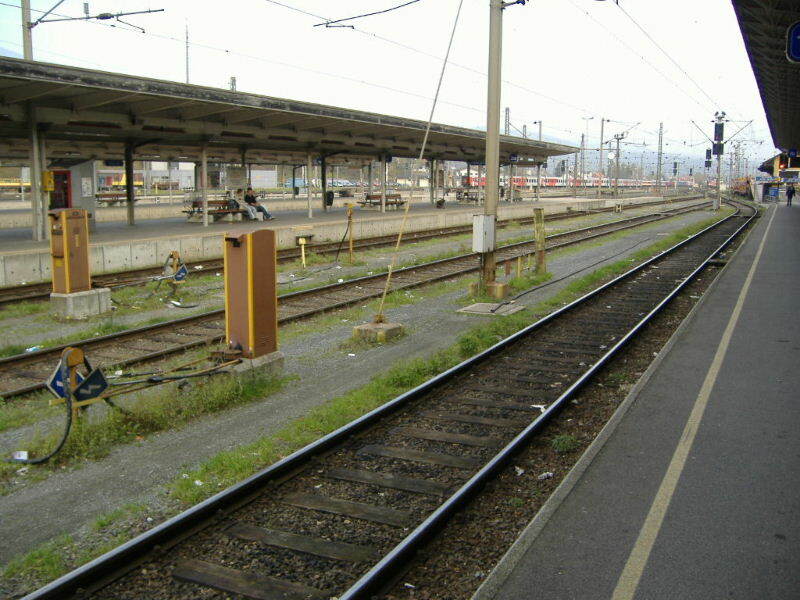 Stazione di Villach Hbf.Vista in direzione dell'Italia. 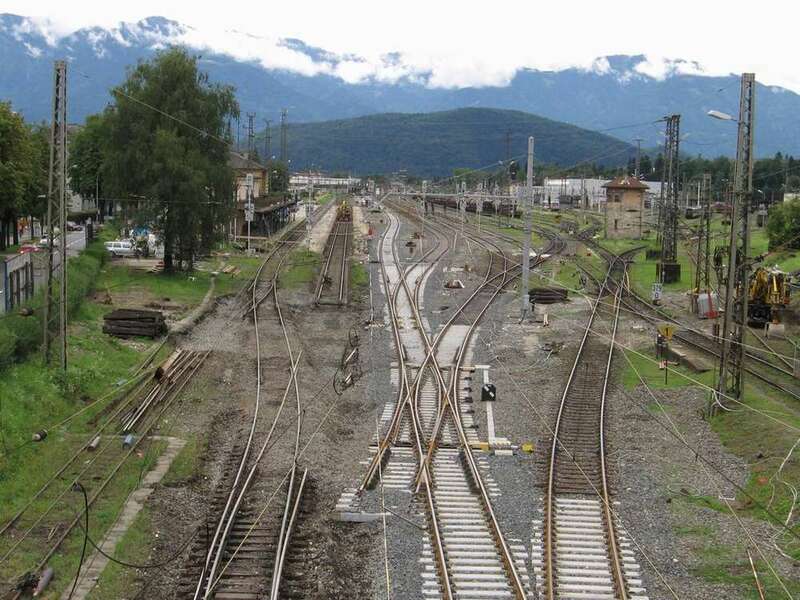 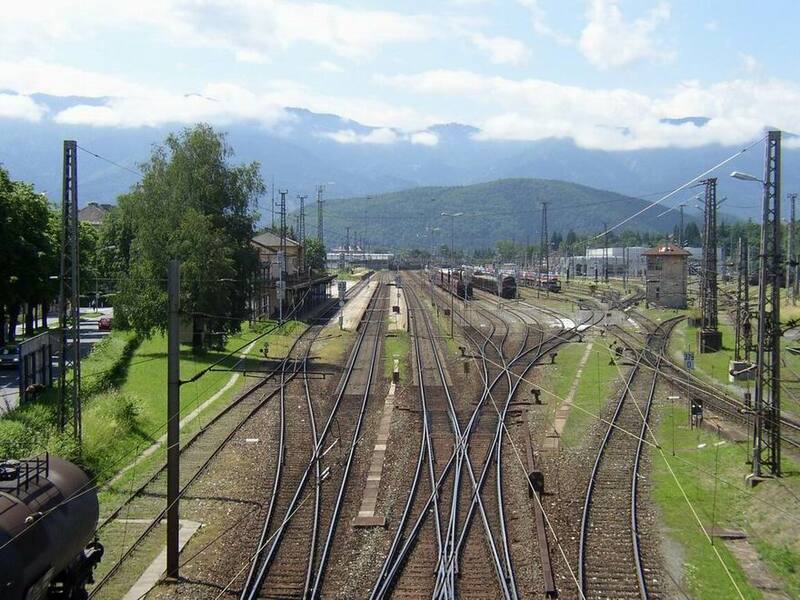 Villach Hbf station.View in direction Italy. 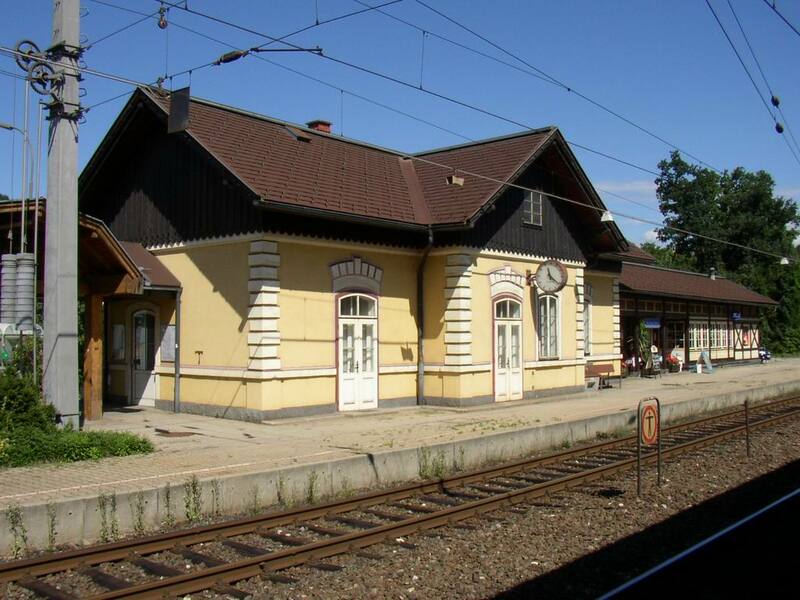 Stazione di Villach Hbf. 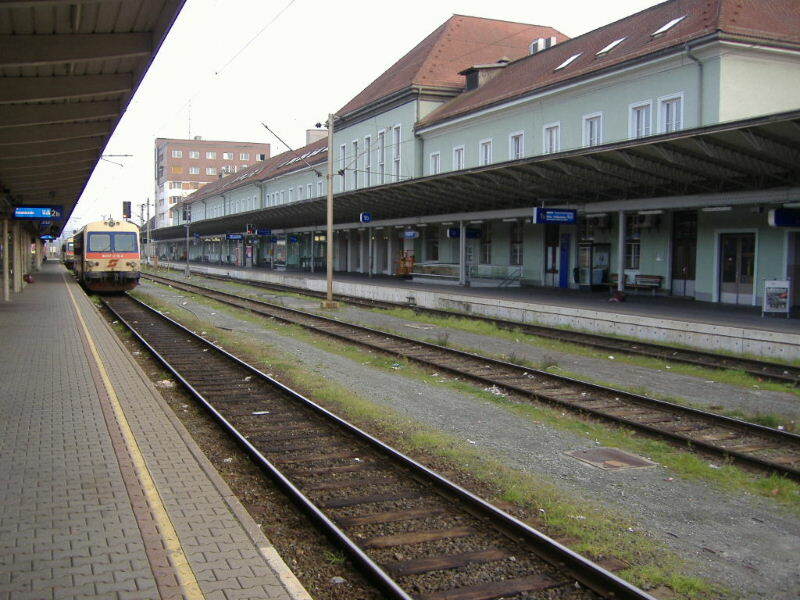 Villach Hbf station. 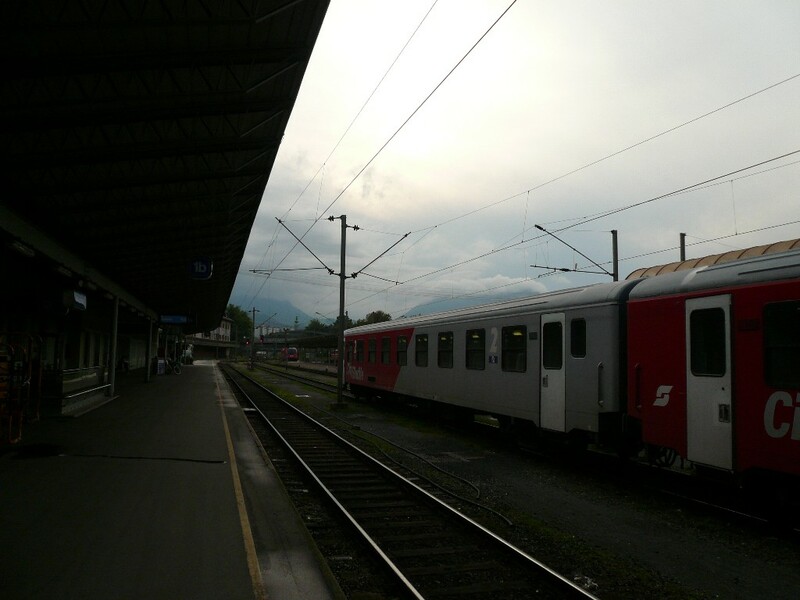 Stazione di Villach Hbf vista in direzione Klagenfurt. 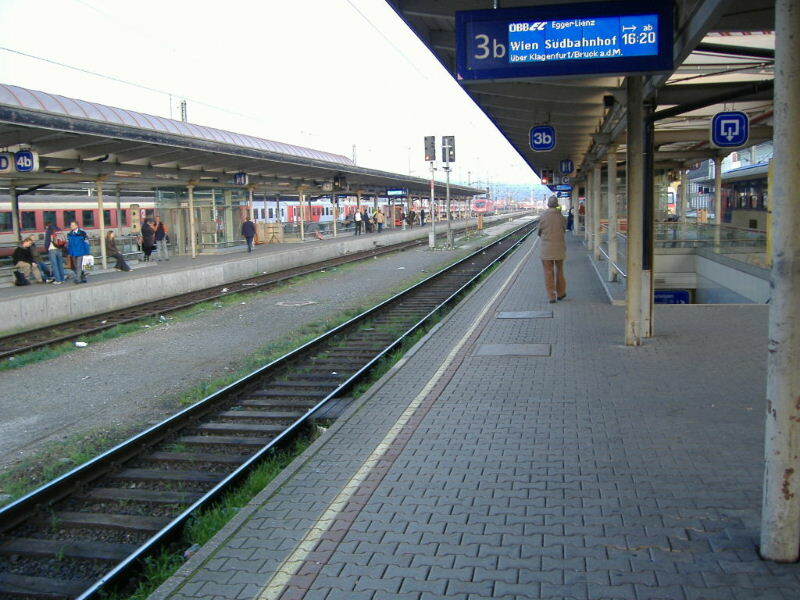 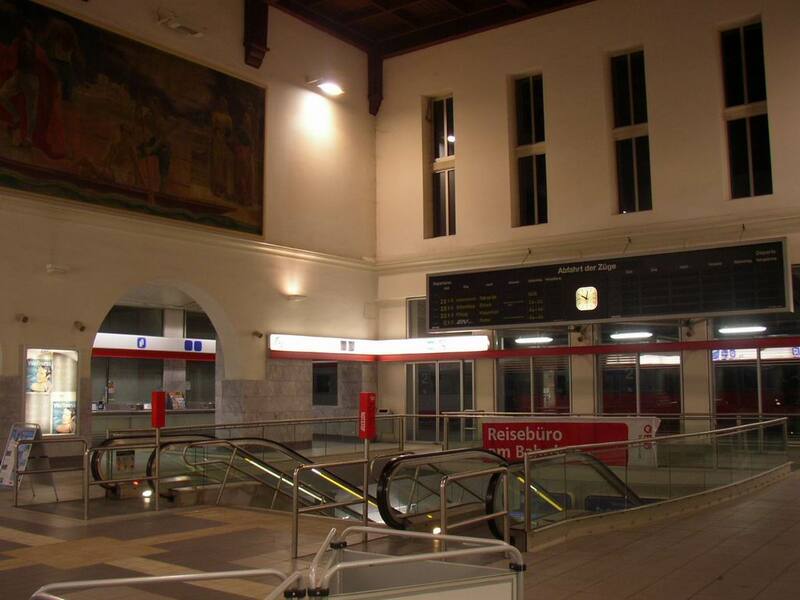 Villach Hbf station, looking in direction Klagenfurt. 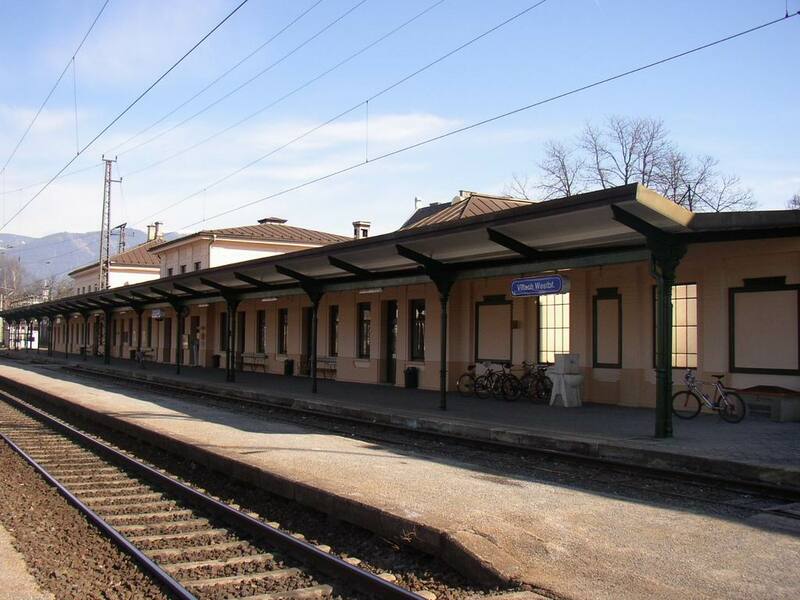 Stazione di Villach Hbf vista in direzione Tarvisio. 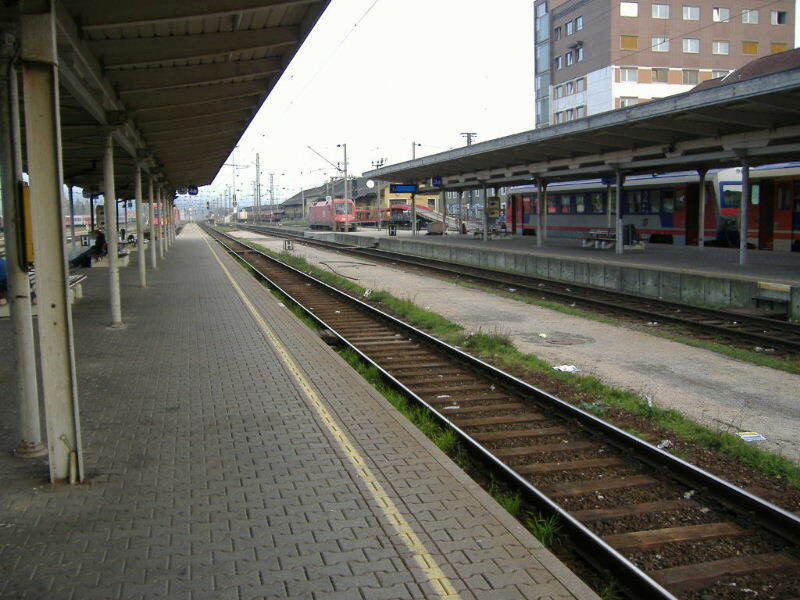 Villach Hbf station, looking in direction Tarvisio.